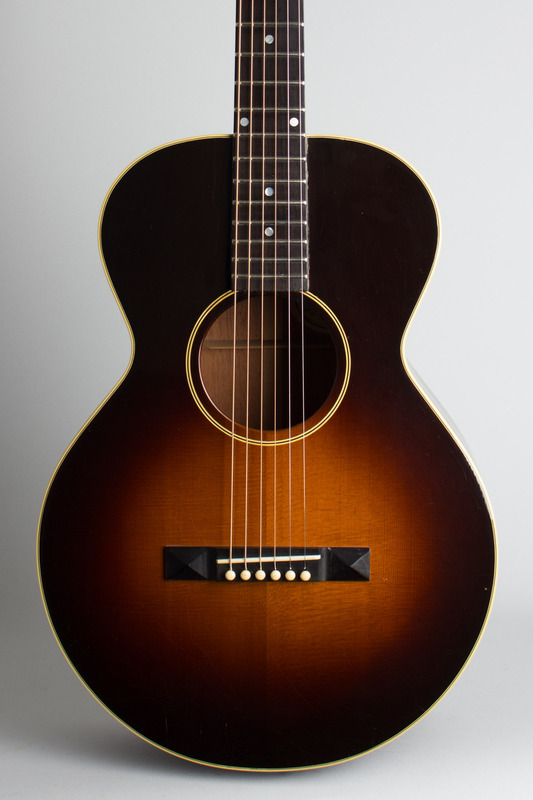 Gibson L-1 Model Flat Top Acoustic Guitar (1991), made in Bozeman, Montana, serial # 92731022, sunburst top, dark back and sides finish, mahogany back, sides and neck, spruce top, original brown tolex hard shell case. 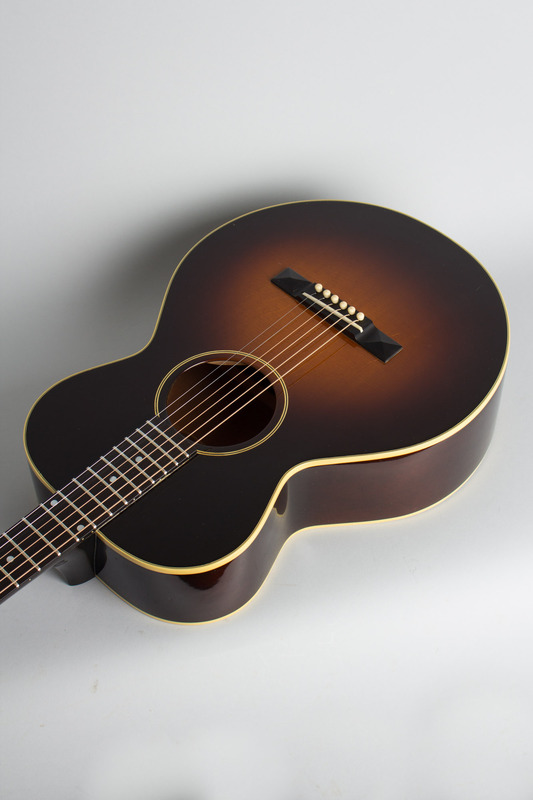 In 1991 Gibson's recently expanded Bozeman, Montana facility re-introduced the L-1, the company's long-lost original small body, 12-fret flat top to the world. 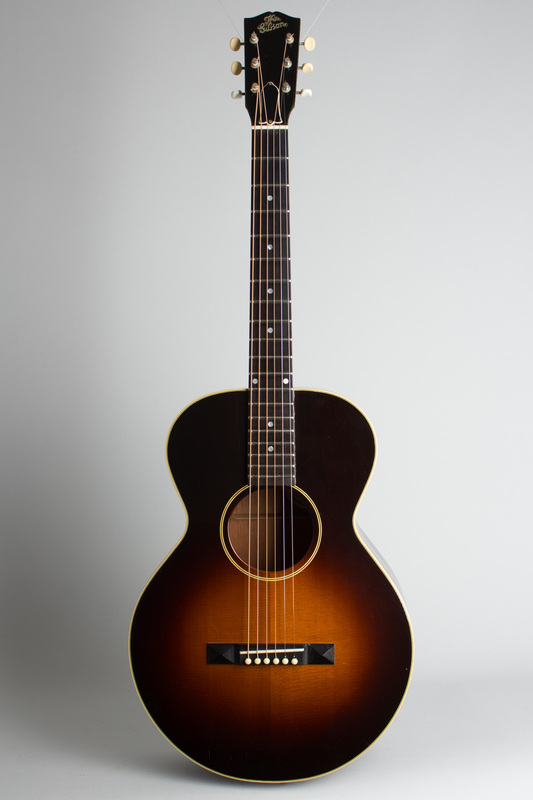 This instrument is not an exact re-issue of any '20's model but a re-engineered version from the factory's master luthier Ren Ferguson with a X-braced top and fairly deluxe trim. 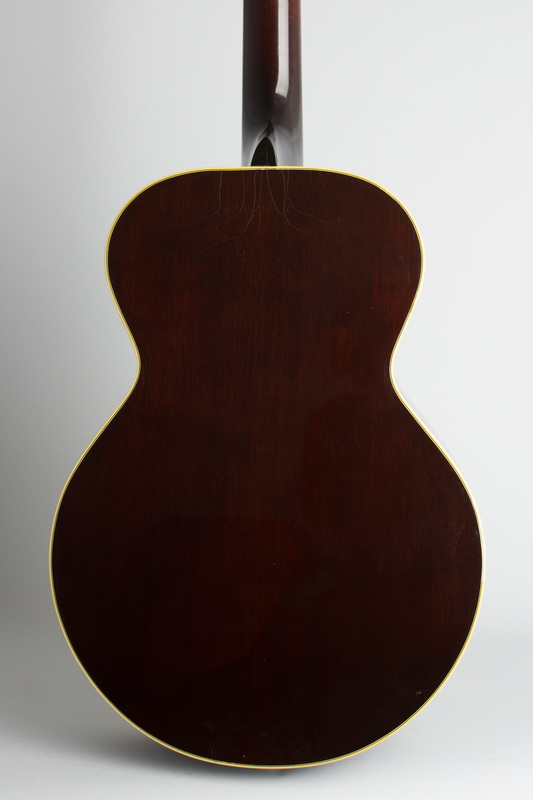 The triple-bound top is finished in a version of Gibson's classic "Cremona Brown" sunburst, while the back and sides are finished dark. 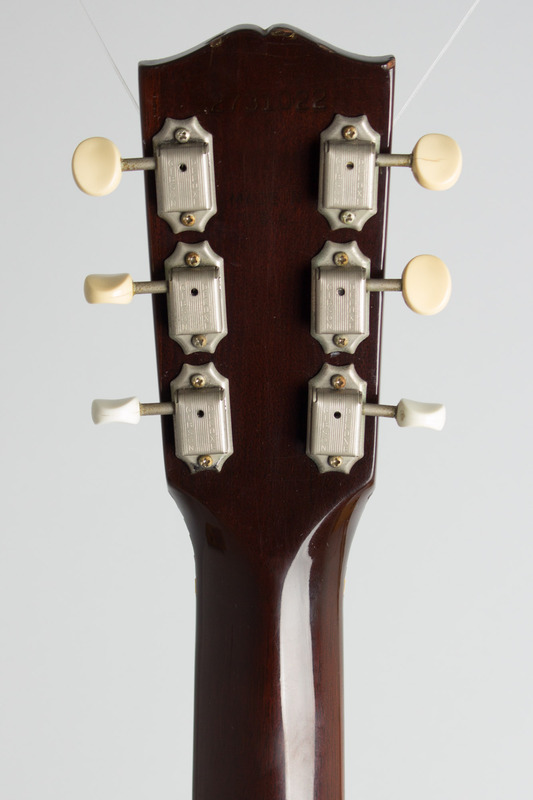 The headstock has a pearl "The Gibson" logo and 1950's style individual Kluson deluxe tuners. The bridge is a very Stella-like pyramid-end piece as used only on the first 1926 examples. The neck is slimmer than the original with a very slight "V" spine, just noticeable in the lower positions. This is a very comfortable and easy playing guitar that responds especially well to fingerpicking styles. This example is #31 of the first original 1991 limited edition of 100, with a label hand signed by Ren Ferguson. It still resides in its deluxe brown HSC and was originally exported to Japan, from whence it has recently returned. Overall length is 37 3/4 in. (95.9 cm. ), 13 3/4 in. (34.9 cm.) wide at lower bout, and 4 1/2 in. (11.4 cm.) in depth at side, taken at the end block. Scale length is 24 1/2 in. (622 mm.). Width of nut is 1 11/16 in. (43 mm.). 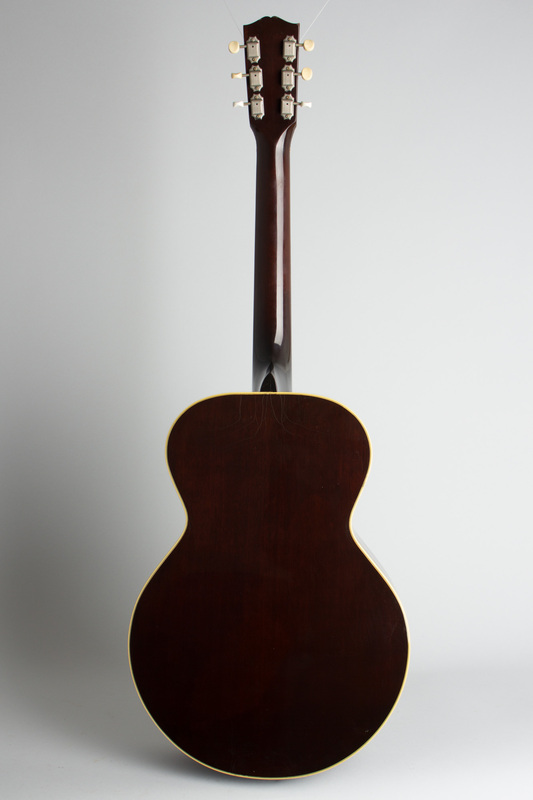 This guitar appears very little played since new, the finish showing only some very minor dings and checking overall. The finish along the edges of the fingerboard has checked a bit more, with a few small flaking spots in this area. 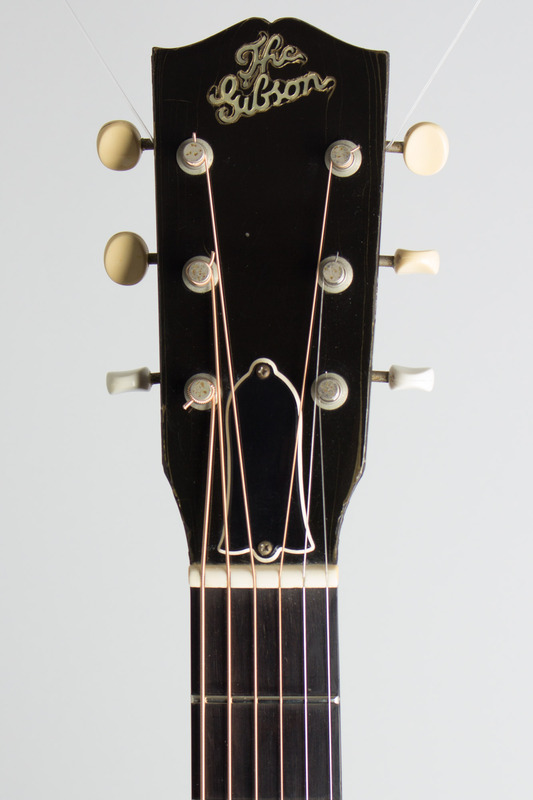 The pearl logo on the headstock has a bit of finish lift around it as well. All-in-all this is a fine playing and very well preserved example of this very interesting guitar with a bigger sound than its small size would suggest. Excellent + Condition.